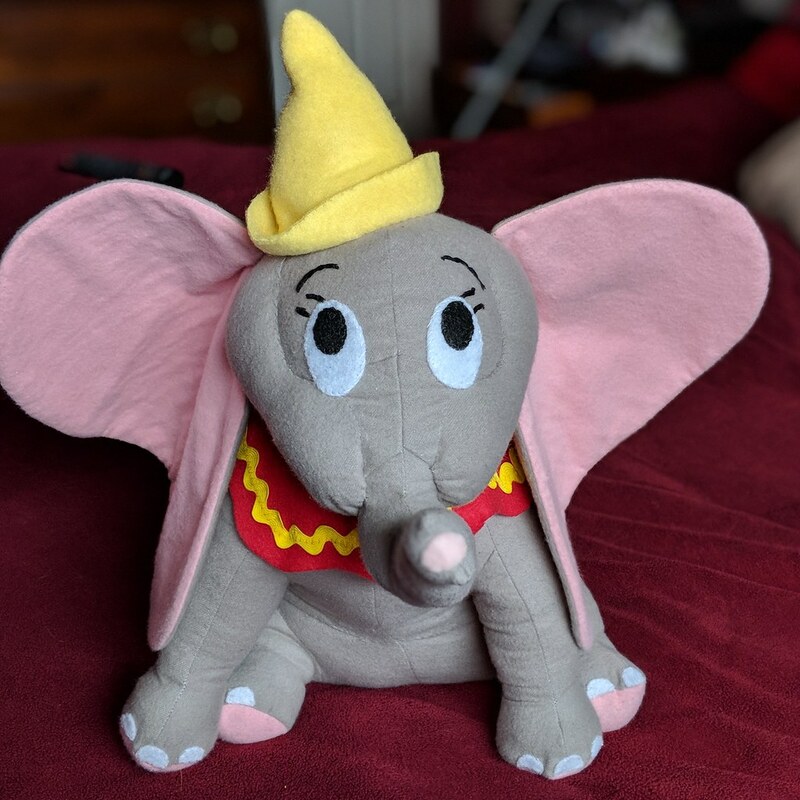 I was able to get a little bit of actual sewing done this weekend! On Saturday, I had some sewing time, and realized that I may as well assemble the s-bend corset whose mockup pieces I had cut out ages ago. So I sewed all the panels together! I still have to put in lacing strips and some boning so that I can actually try it on, though. I think it may actually be a little big, but we'll see. 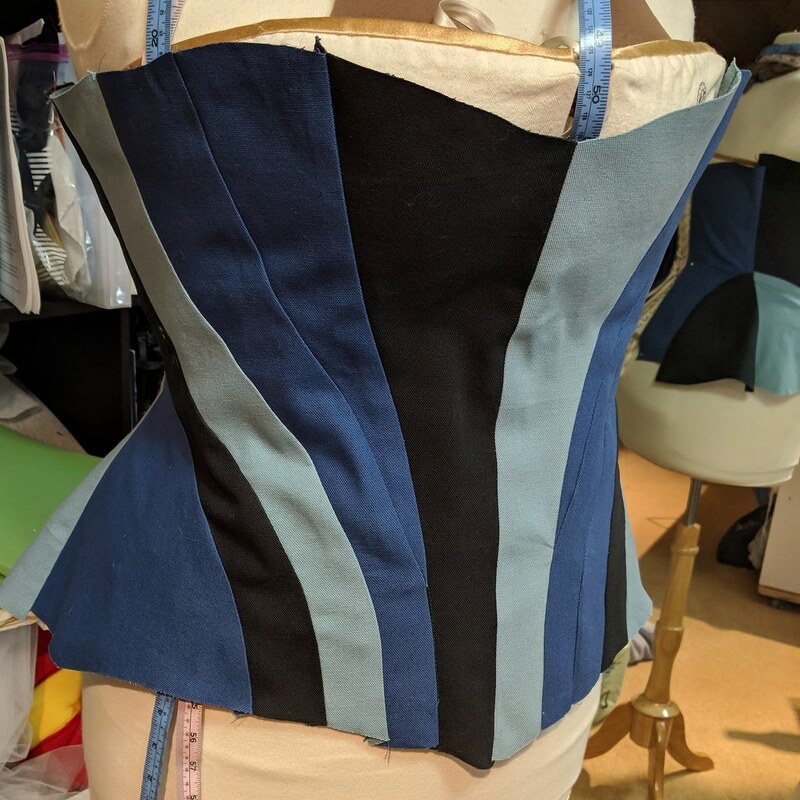 For my mockup, I literally just cut the pieces out of random canvas scraps I had laying around, but I really like the striped effect, so I think I might make the final corset striped, too. The main reason I worked on that on Saturday was because I couldn't start any of the Dapper stuff till after Sunday. I knew Joanns was having 60% off coupons and pattern sales on Sunday/Monday (though it turned out to be the wrong pattern company than what I needed), so I didn't want to buy my Merida fabric till then. So Sunday I bought my Merida fabrics and tossed them in the wash, and after cutting out the skirt pieces in flannel, I realized they needed way more body. 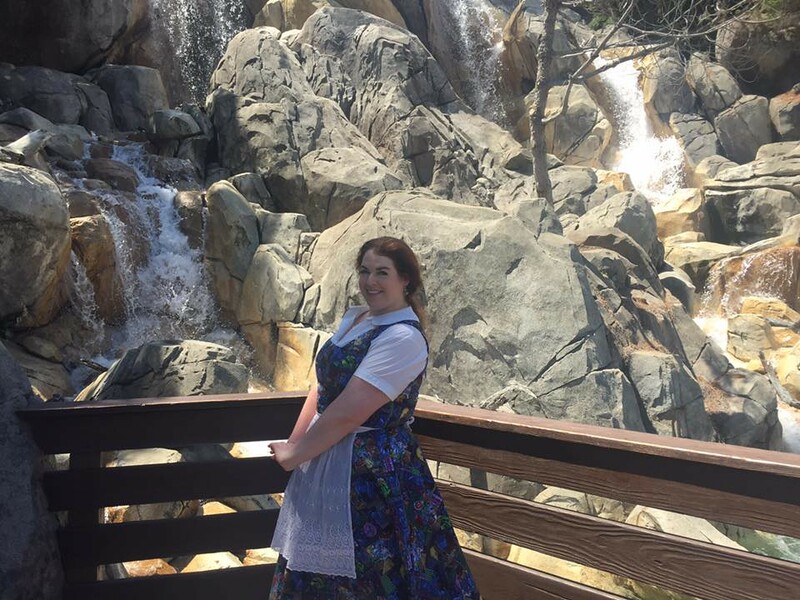 So on Monday, I went back to Joanns, and bought poly taffeta to flatline the skirt with (which hopefully won't wind up being too heavy), and most of the fabrics I need for Anna Frozen Fever, which I've decided will be my Halloween costume/Sat of Dapper Day disneybound. Or at least, I hope I bought most of them. I wanted 4 yards of turquoise matte satin to comfortably cut out the Anna circle skirt, but the closest they had was 3 yards of aqua matte satin. I'm hoping I can eek it out of that, because I'd really like to get started on all that embroidery. (Come to think of it, I should probably check to make sure I still have stabilizer!) Unfortunately, Joanns has literally no light or bright green casa fabrics, so I'm not sure what I'm going to do about the vest. They also had none of the fabrics that I need for the regular Anna-inspired bustle dress I'm making for the Disney bustle group for CoCo next year. Anyway, I cut out and flat-lined 5 of the 6 Merida skirt panels, and sewed the front three together. I'm hoping I might have time to cut out the pockets and the last panel today and sew them up, but with having to match plaids, it's going much slower than a normal skirt! I found myself with about 45 mins of free time this afternoon, which means you all get corset pictures! The bust gussets are wrinkly, because as I previously stated, I for some reason had lots of trouble with them - one of the problems included layers feeling too big or too small once I folded the edges to enclose in the seams. Oh well. Overall, though, it fits great. I'm super proud of that even lacing gap, and I get a really nice waist reduction, too. In fact, unfortunately for my already finished skirt, it's way more waist reduction than I anticipated. I pleated my skirt to be 2" smaller than what my natural waist last was, but a) I have lost .5" from that natural measurement in the last couple months, and b), I get a 3.5" waist reduction with this corset! So basically, my pleats don't line up. I highly highly doubt I'll have time to fix that before the Victorian fest, but I have a feeling that will go on my todo list for before CoCo. 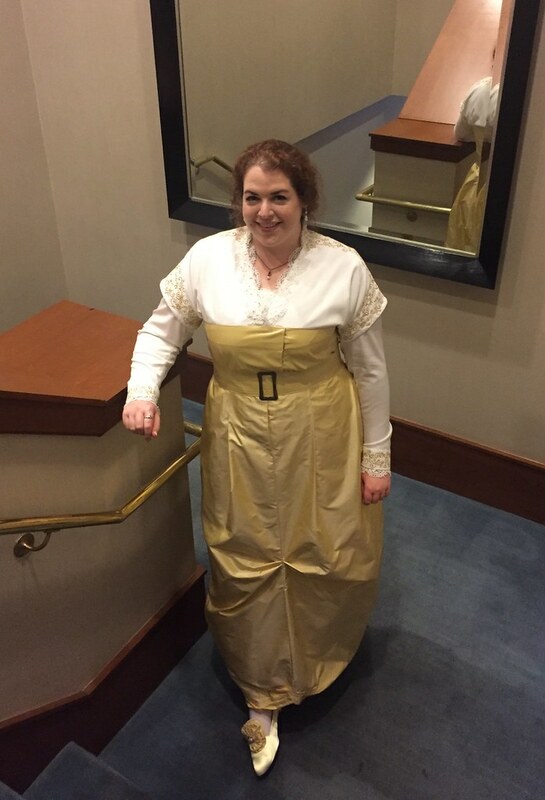 While I had the corset on, (despite forgetting and putting a long sleeve shirt underneath), I decided to try on some ballgown type bodices and see if any would work to use as a pattern for this one. 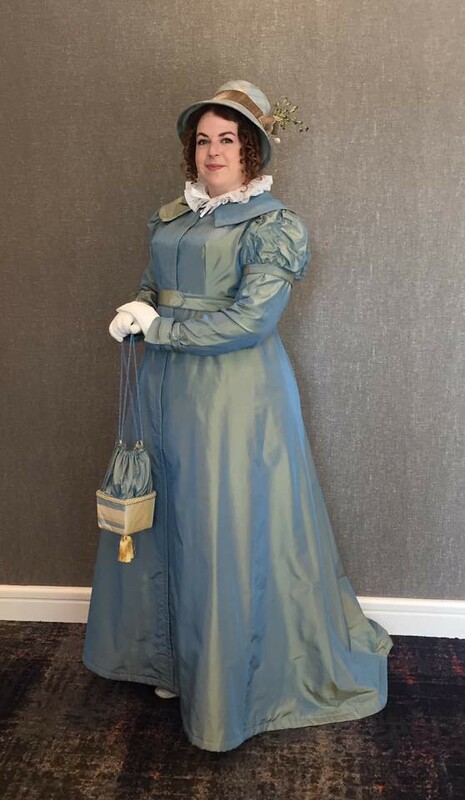 I tried the Victorian Child first, but it was a little too big at the waist, and too high at the neckline, with no pointed waist, so I decided to try something better. I did the black silk next, which was (I thought) off the same pattern. I had the hardest time trying to figure out where the waist wanted to hit, because it was really strangely fitting me with this corset. And when I put the sleeves on, I couldn't move at all, so I gave up and moved to the next one. 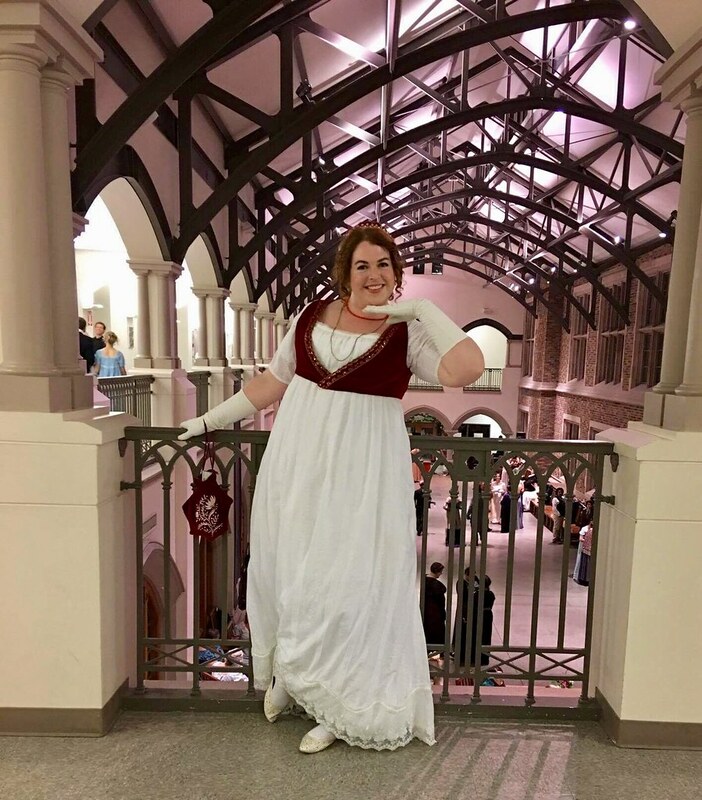 My green and cream ballgown bodice was very high-waisted in back, gappy over the top of the bust, and the sleeves are set too far on the shoulder. 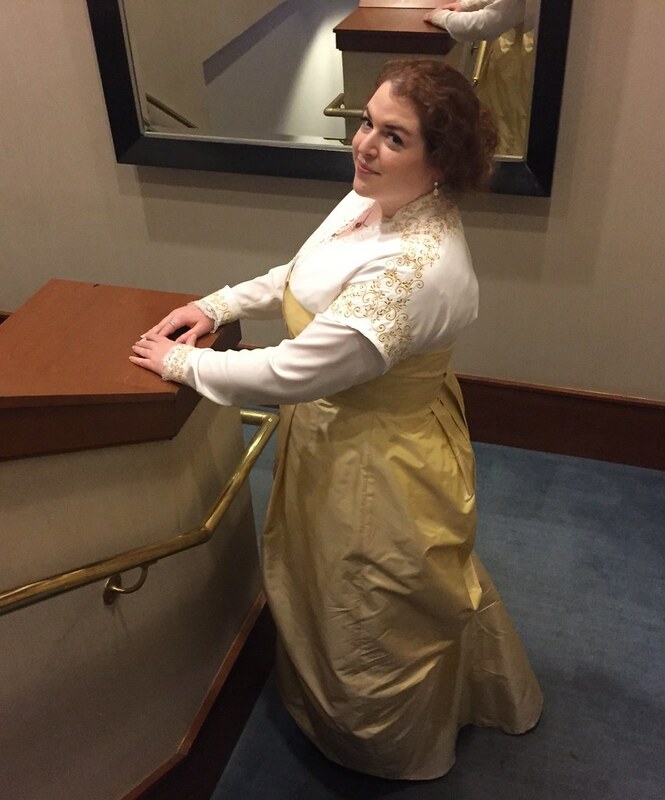 So I moved to my last option, which was my old (from 2012) black and gold ballgown bodice. I managed to mostly lace myself up in back, and it actually fit better over this corset than it possibly ever has. Success! 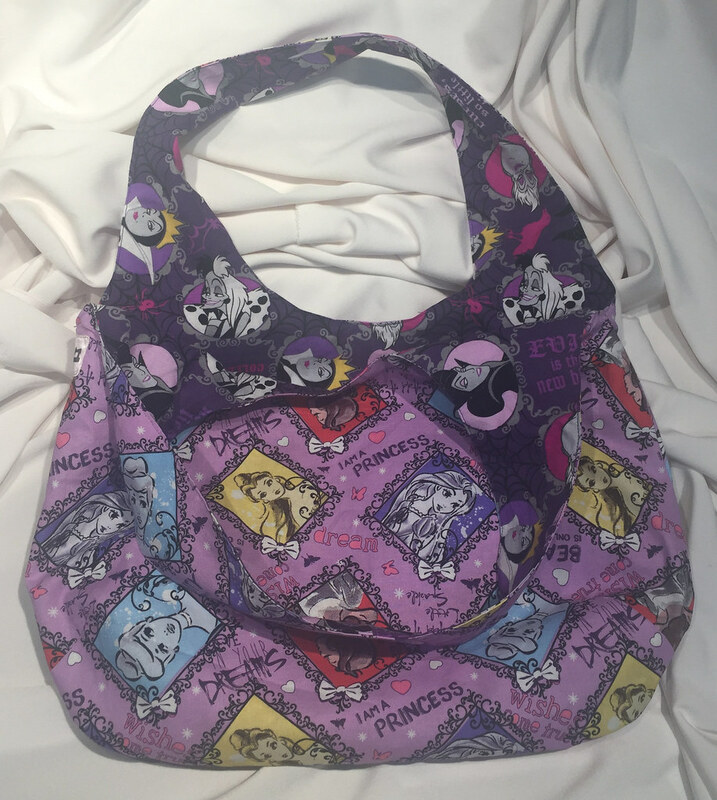 And wouldn't you know it, I found the pattern I had drafted for it all nicely in a ziploc, and it seems that it actually matches the existing bodice with no alterations. So scary as it feels, I think I'm ready to cut out the silk! That saves me a good chunk of playing with things on Friday morning, that's for sure, so that was a nice birthday present from the sewing gods. I actually didn't manage to completely finish the corset today, since cutting/sanding all the boning took a lot longer than I had anticipated. However, all I have left at this point is a little over 1/4 of the binding, and that's it, so I know I'll finish that quite quickly during tomorrow's show. Then I guess I'll go back to flossing the 1870s corset for any remaining downtime I have tomorrow. Or maybe I'll just read instead. And on Monday, it's bodice patterning time! I finished the base skirt for the ballgown. 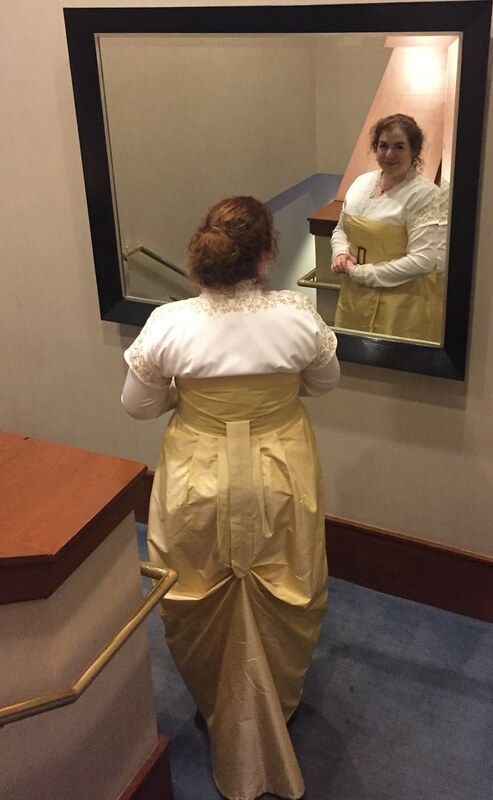 After seeing Beauty and the Beast, I came home, messed with my pinned pleats beacuse I had pinned the skirt waist about 1.25" too big, and sewed on the waistband. Then I put it back on the form and started to mark the hem. 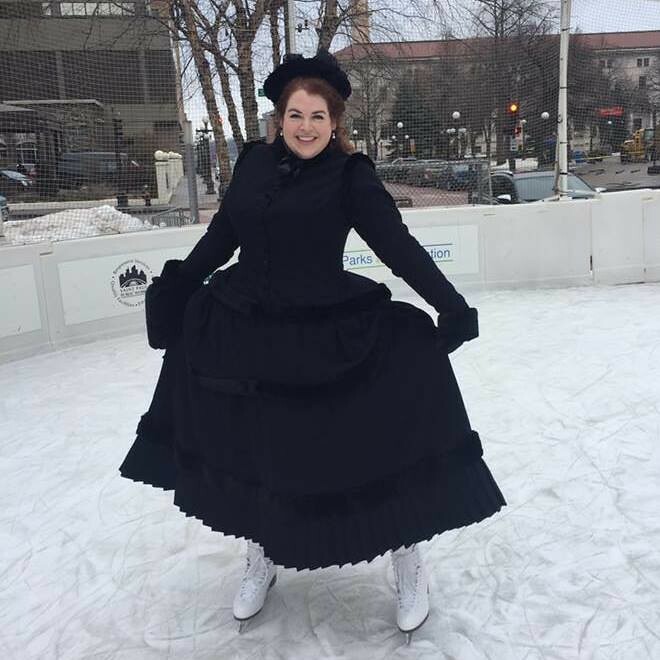 I had been wanting to make a ruffly organdy petticoat for this dress, but I realized that by putting my Victorian child ruffled petticoat over my regular hoop petticoat (which has one ruffle around the bottom), the ruffles come fairly close to looking like one big ruffled skirt. So at least for the Victorian ball, that's what I'm going with. Anyway, I managed to get my hem pinned and pressed before I had to leave for opening night. And then somehow backstage, I sewed like the wind, and was able to sew my entire hem! And since I consider myself a very slow hand-sewer, I'm quite surprised and proud of that. So that means that other than the hook and eyes at the waist, it's done! Or I should say, the base skirt is done. Once I get the bodice to a wearable state, I will go back and add all the lace and organza. I'm almost sad about that, because the skirt is so gleamingly turquoise as is. 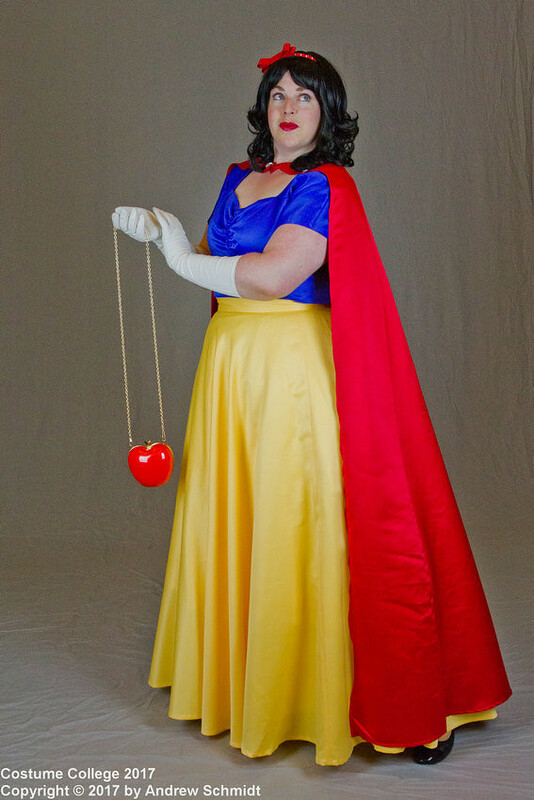 Of course, since tomorrow is a two-show day, now I'm a little worried I won't have enough to do backstage. I'm going back to the corset, which needs the last 3 or so boning channels put in, about 16 bones cut to size and inserted, and the binding done. Hopefully, I'll finish that all tomorrow, though I'm not sure what that would mean for Sunday's show sewing. But it does mean that I should be able to draft out the bodice and actually be able to work on that at home next week. Yesterday, between work and rehearsal, I finished cutting out all the skirt flatlining pieces, and serged all but the front panel. Then at rehearsal, I finished a little over 3/4 of the boning channels, which was not nearly as far as I was hoping to get! Today went pretty well, though. 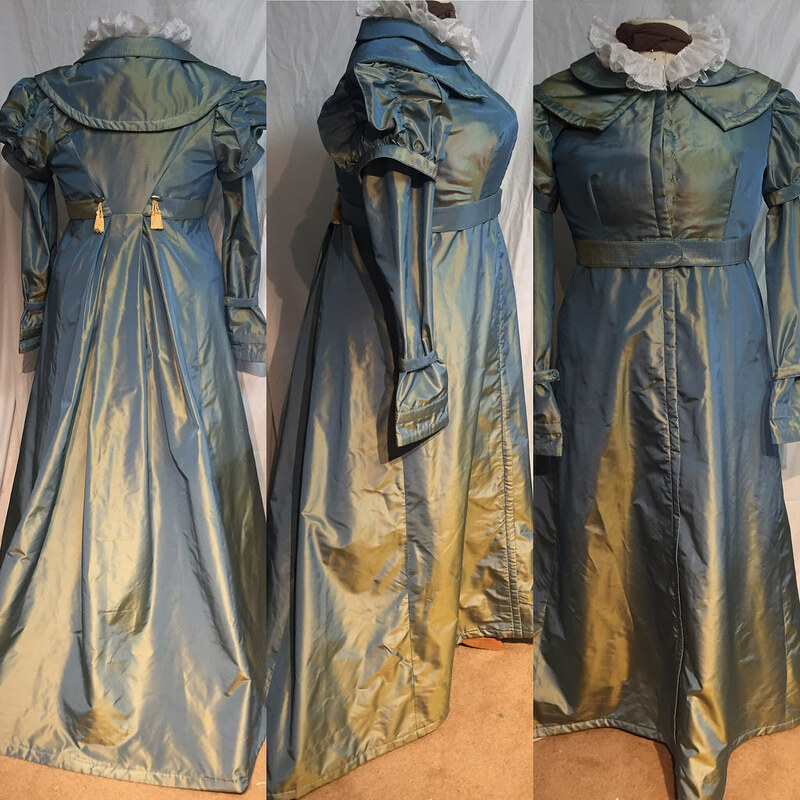 Between work and rehearsal, I serged the front panel, cut out the waistband in both silk and the organdy, and serged that together as well, and cut and serged pieces for a pocket for the skirt. And at rehearsal, I managed to get all of the skirt pieces put together! I started to pleat the waist while I was still there, but it just wasn't working without having it on a dressform. When I got home at about midnight, I decided to just pleat it on to the dressform, just so it would be done. I have to admit, I'm already in love with this, even in it's totally-not-pressed, pleats-just-pinned state. The color just glows! I wish it photographed true to color - it's so much more turquoise. Tomorrow late morning, I'm seeing Beauty and the Beast, but I'm really hoping to have enough time between that and our call-time for opening night that I can do the waistband of the skirt and mark/pin the hem. That way, I can handsew the hem while at rehearsal. I didn't manage to get much done today. I had 30 mins at home after work, and I cut out two panels of the organdy for the skirt and pinned them in place. I'll have a little more time in between work and rehearsal tomorrow, so I hope to get the other three panels cut out then. And then backstage at rehearsal, I made about 3/4 of the boning casings I needed for the corset, and sewed two of the six sets in place. I'm hoping to finish the rest of the casings tomorrow night, but there's definitely less time to sew now that I have costumes to change and hair to maintain. We open Friday! So that took a lot longer than it probably should, but I did try it on, and it fits. I'm getting terrible wrinkles right now, and the bust gussets seem a little funky, but I'm hoping that's because I don't have the bones in yet. I also worked on the skirt. I cut out all the panels in the silk, and got the back panels cut out in the organdy and flatlined. I'm hoping that on Wed between work and rehearsal, I can get the other panels flatlined, since I think that there may be some possibility that I'll finish or come close to finishing the corset at rehearsal tomorrow night. I was given permisison to bring my machine and work when I'm backstage, and today I finished doing the second seam on all the gussets, even though having to redo my hair a few times sucked up a bunch of my sewing time. 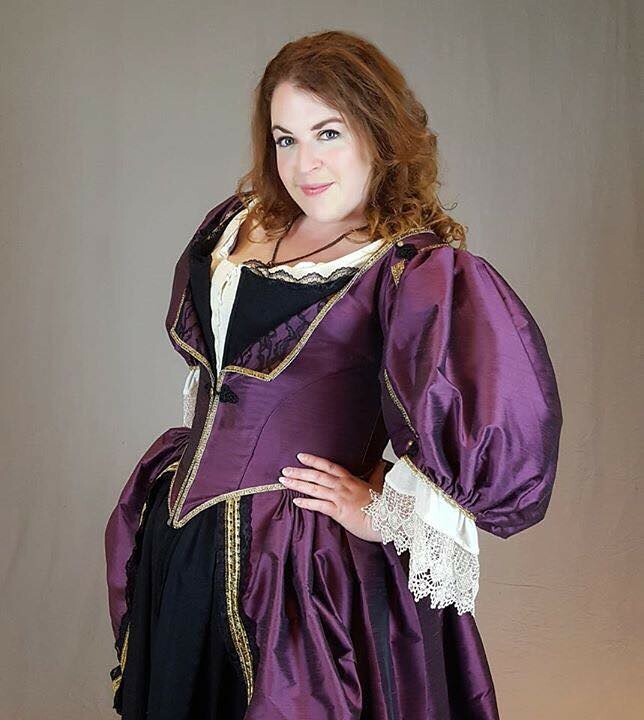 Ideally, by Friday night (which is opening for Anne Frank), I would like to have the corset finished and the base skirt finished, so that I can start on the bodice. 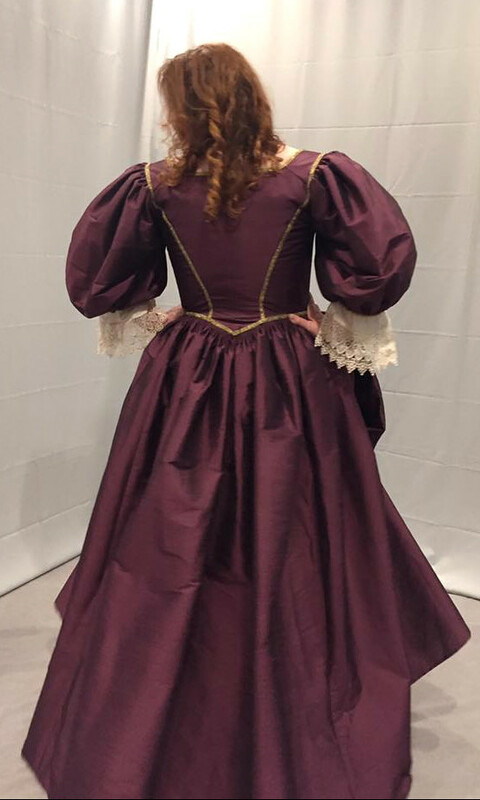 I'm probably going to wait to put the trim on the skirt until I get the base of the bodice done, because even if they're unadorned, if I have base pieces, I can wear them to the Victorian festival ball on April 1st. 1.5 weeks! 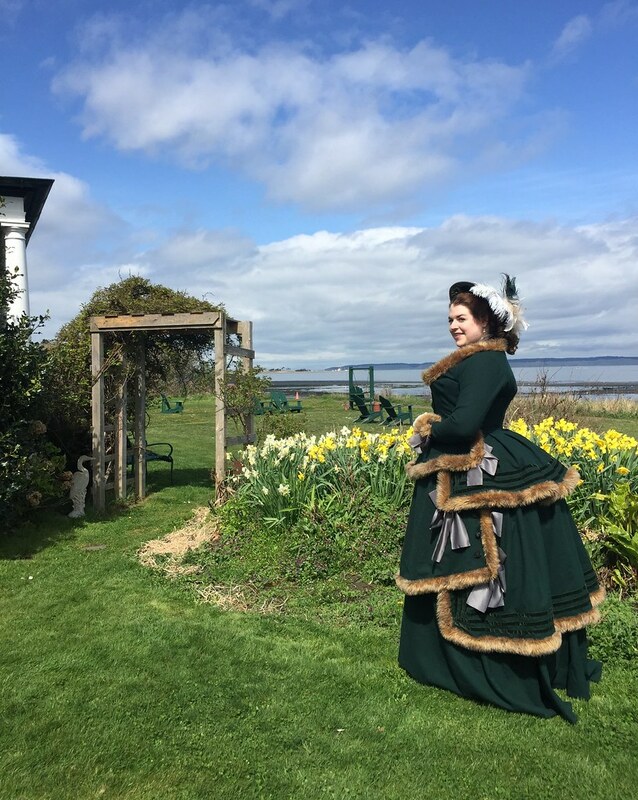 But then today, I realized that I've actually had a hand-sewing project to do all this time - my 1870s corset needs flossing! So that's what I brought today to rehearsal, and I got almost half of the bottom flosses done. I also made the skirt for my order this morning, and shipped that off early this afternoon while running my errands. Unfortunately, my errands took so long that all I had time to do on the corset was flatline all my pieces, and pin one gusset into place. I think I'll have a little time to sew tomorrow, but I do have an audition in the afternoon, and I'm seeing Gypsy in Tacoma in the evening. At the very least, Sunday should be a good sewing day, though! Well... I brought all the corset pieces/fabrics to cut out while at rehearsal, as well as a skirt order that came in, but I just finished. And naturally, I still have 45 mins of rehearsal left to go. Oh well, I guess the timing didn't work out so nicely today. That also means I have to figure out what to do tomorrow. I looked at the handsewn 1860s project, but I'm at the point where I have to fit the bodice, which I guess explains why I put it aside in the first place. Plus I'm not sure where I put the handout, since it's not with all the pieces. So that's definitely not going to be something to work on this week. I'm going to keep at it with the corset, and I can possibly get it into a handsewing state by Friday's rehearsal, but definitely not by tomorrow. I ripped apart mockup #2 to use for my pattern pieces, but only managed to actually get two cut out. It's unlikely I'll have much time to work on it in the next few days, because T/Th I get home at 5 and leave at 6, and Wed I have an audition downtown after work, and it's very possible I'll have to go straight from there to rehearsal. But I did manage to stop at Joanns on my way home today to pick up more canvas for the lining layer, so I should have everything I need for the corset at this point. And on the other hand, I have at least one day's work left on my pocket, so that will be good for rehearsal sewing. I finished all the embroidery today, cut out the pieces, basted my front and front interlining, and started binding the pocket slit. I have a feeling I will finish it at tomorrow night's rehearsal, though I'm not positive. 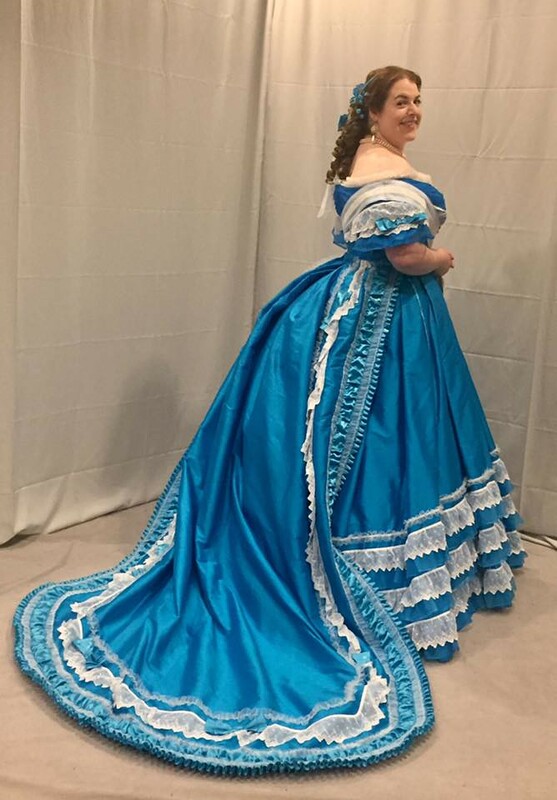 So hopefully I'll at least have time to dig out the handsewn 1860s dress, since the corset is going to be nowhere near hand-sewing state until at least Friday. I was worried I wouldn't get anything done today, because when I got home from Seattle this afternoon, I had a splitting headache. I laid down for a couple hours, tried to get up to sew, and realized I'd have to try to sleep it off. So I took a nap, without setting an alarm, at about 5:30. Luckily, I woke up at 8pm, and the headache had mostly faded, so I've been working for the last four hours on the corset. I put in several pieces of boning into Mockup #1, and tried it on. Waaaayyy too big! It closed all the way in the back and still felt loose, plus those bust gussets were having major gaposis. So I took it all apart, and took it in a whole bunch. 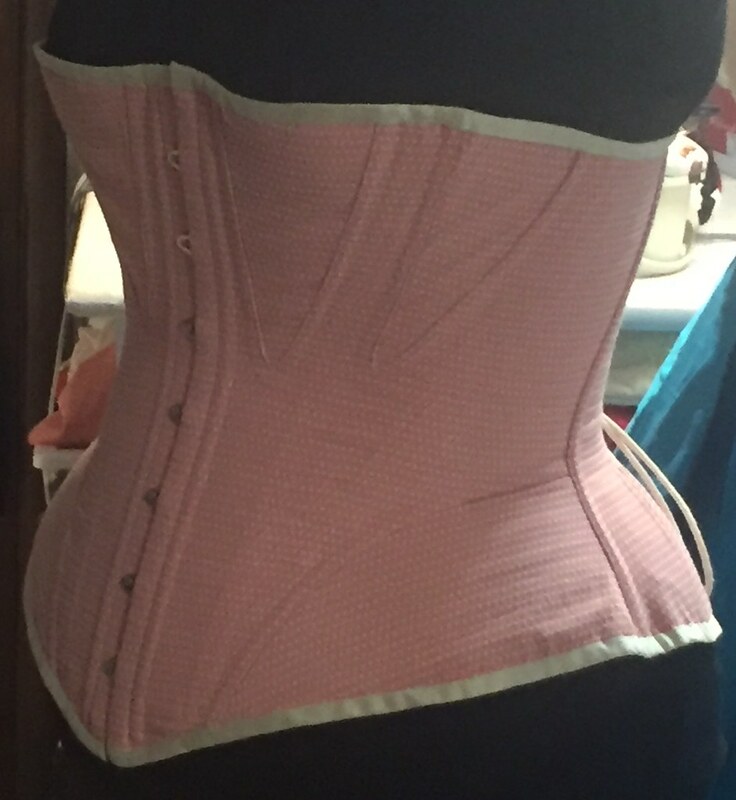 I think I wound up taking in 3" at the top, 2" at the waist, and 2.5" at the hip, on each half of the corset, plus I took in the bust gussets another .5-1" each. 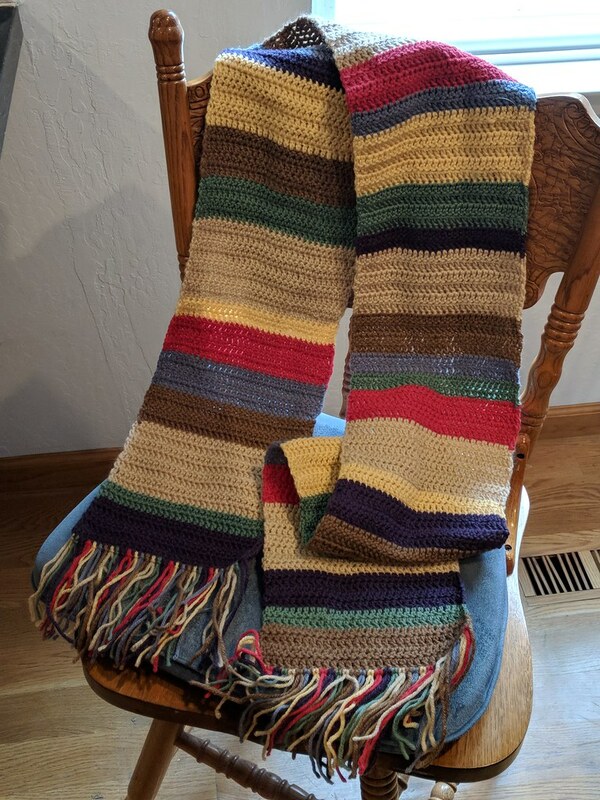 Once I put it all back together (luckily, since it was all too big, I didn't have to recut anything), I tried it on again, and it was pretty darn close! The lacing gap was still a little narrow at the top, so I'm going to take the next one in another 1" on each side at the top. And it scoops way too low under the arm, so I'm going to make it a little taller from the side-bust gusset, all the way to the CB. At the same time, I think it's just a hair long in the CF over the stomach, so I'm taking off .5", which also means I can actually use the busk I already have in my stash! I'm also going to increase the hip gussets just a tiny bit, since I think it needs to flare out a little bit more. But honestly, I'm comfortable with doing all that to the actual final corset, since they're all pretty small tweaks. My rehearsal schedule hasn't been released for tomorrow yet, but I'm pretty sure I'm called every day this week. So basically, I'll have about 1-2 hrs between work and rehearsal every day this week in which I can attempt to sew (and eat dinner), before heading back out. So hopefully I'll actually be good and get some work done. I started on my 1860s corset today. I'm making the first mockup pretty much exactly as is from the 3 pages x 3 pages blow up of the pattern pdf, except that I decreased the bust gussets by 3/8" on each side, since the ones in the pattern seemed so huge. I already cut out everything, and sewed all the pieces together, so tomorrow I just need to tape bones in and try it on. I'm still trying to figure out if I want most of the bones to stop at the waist or not, since I've seen extant corsets with both types of boning patterns. Also, my mockup looks crazy, because it's made out of three different colors of leftover canvas scraps. I just hope it winds up being a pretty close fit! 1. You rip on the grain in both directions. 2. You dye to the perfect color in about 10 seconds. 4. You wash easily and dry fast. 5. You are silk, but you are inexpensive! Basically, other than fraying and attempting to cut anything other than straight lines, you might be my favorite. So anyway, the three gathered tiers on my skirt are going to be silk organza. I have already dyed it, and I had just about enough yardage to be able to use selvage edges for all my hems. I might roll-hem the gathered side that I'm attaching to my skirt - I haven't decided yet if just putting the edge underneath the ruffle will protect it enough or not. The problem, though, is that I can't get the ruched look I want with roll-hemmed (or probably any hem) organza. So I think maybe I need to use tulle? I need something very light, airy, and sheer, which can be significantly gathered, and doesn't need to be hemmed. This part does not need to be dyed, so that may make that part easier. Any suggestions? But back to the silk organza. Does anyone have any idea if it will work for the underside of my train? Honestly, the only place I'll be able to let it down will probably be the CoCo red carpet. Because otherwise trains are just asking for a disaster. Look how perfectly this dyed! Yep, that's why you can hardly see it! Also, I blew up the corset pattern that mala_14 shared to my post the other day, and printed it at a 3 pg x 3 pg scale, and I think it might work really close to perfectly. The bust gussets are enormous, and I'm a little worried it might be short waisted as it goes around the side of the body, but otherwise the measurements seem pretty darn good. So I'm planning to create a mockup with no alterations except the bust gussets, and see how that works. It's weird, but I'm actually kind of excited to make another corset now. 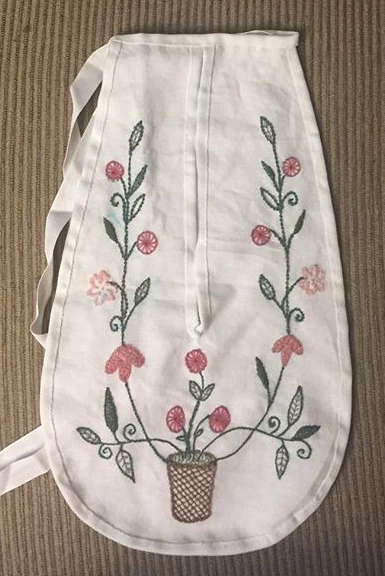 I've been twiddling around a bit with 1860s corsets, trying to find a pattern diagram, and to figure out exactly what I wanted from the corset. I found an 1868 diagram, which is a little late, and an 1863, which is a little early. I blew up the 68 and put it together on paper, but it doesn't have bust gores, and looking at all the corsets I like online, they all have bust gores. The hip is also not quite what I wanted, though it does all make up to a nice shape. Looking at the 63, I think it's a little closer, but the bodice shapes don't seem quite curvy enough, and the hip gore still isn't perfect. Both of them have an interesting hip gore/peplum piece that both stop at the side seam. There are no back views of the orange one, but I have to figure it's constructed quite similarly to the blue one, which is, two main bodice pieces (front and back), front peplum/gore, back hip gore, and two bust gores. I rather like the flowy top and bottom edges of the orange one (and the color! ), though I do wonder if the flat top of the blue would be more practical. I also don't think I want it to be fully boned in front like the blue one - that seems a bit much. Here's a question, though. 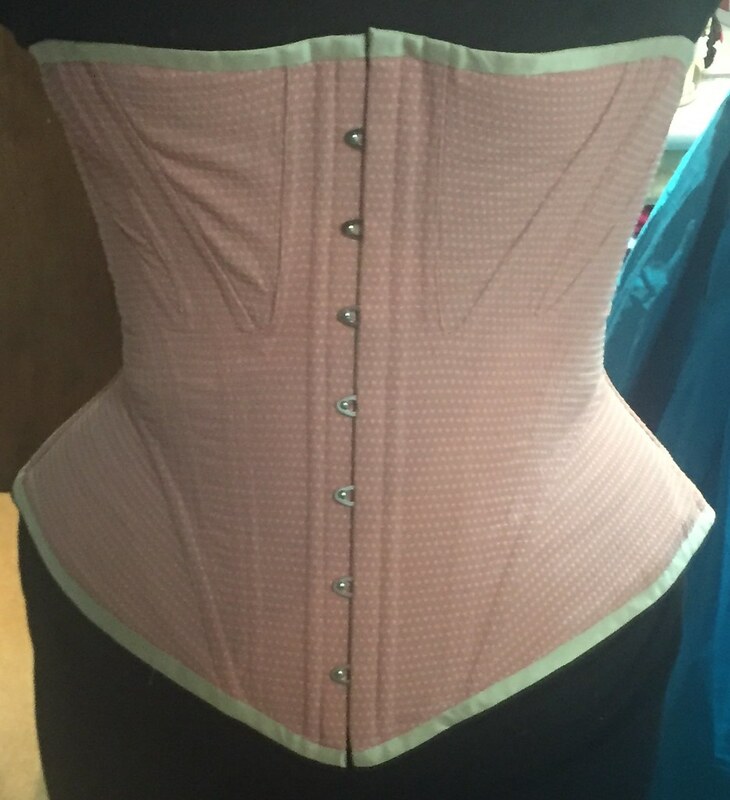 The blue corset's boning all stops at the waistline, except for CF and CB. The orange may also have one bone that goes all the way to the hem at the side seam, though I can't tell. But can anyone who has worn a corset with boning like this tell me if it winds up digging in at the waist? 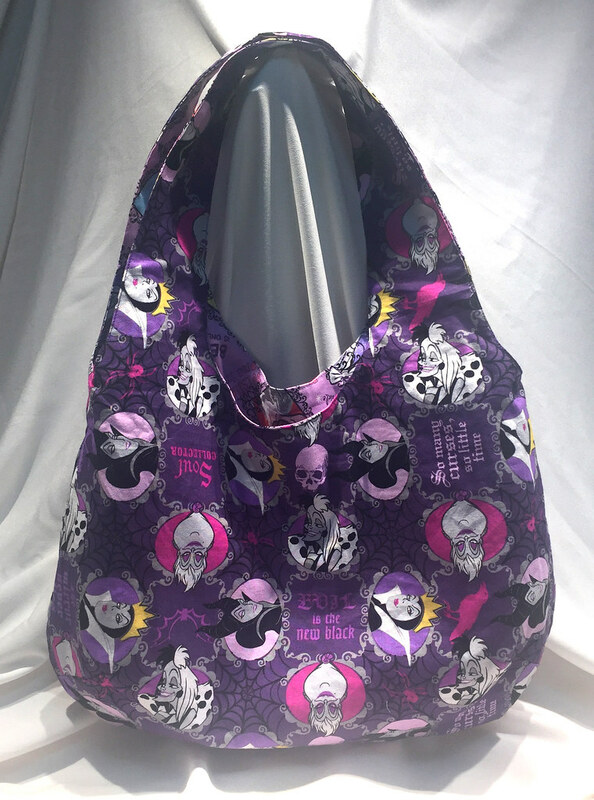 Also, does anyone have a pattern closer to this than the 1863 one I have? I finished the binding, so the corset is basically done, except for the eventual slow addition of flossing. I had debated about adding beading lace around the top with a ribbon, as well, but I'm kind of thinking I don't really need it. I'm not 100% happy with how it turned out. It feels tight in the rib cage, and it is back to being very large over the stomach. By the hem, I think the corset goes out a good 2" farther than my stomach. I know in most cases this will be hidden under my skirts, but it still seems weird. The rest of the corset looks great, though, and the waist reduction is definitely more noticeable now that there's so much room in the hips. 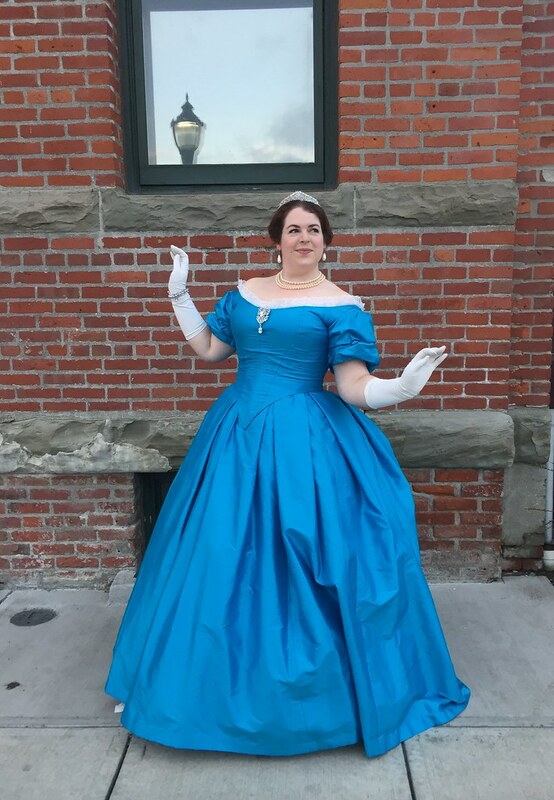 Also, while my Ravenclaw bodice (which I use for caroling) has been really tight and hard to button over my ribs/bust in my old corset-story corset, it now fits wonderfully! Which is kind of weird, since I made it to go over that corset, and it has only been fitting tightly for the last few weeks. I think it was just trying to tell me to finish my corset. Here's some pictures. I tried to do that cool thing that jenthompson does where she wears all black and it looks like the corset is floating. But then I realized I don't have a black background and my sewing room is a mess. Oh well. What I really need, though, is to find a bettter option for lacing. 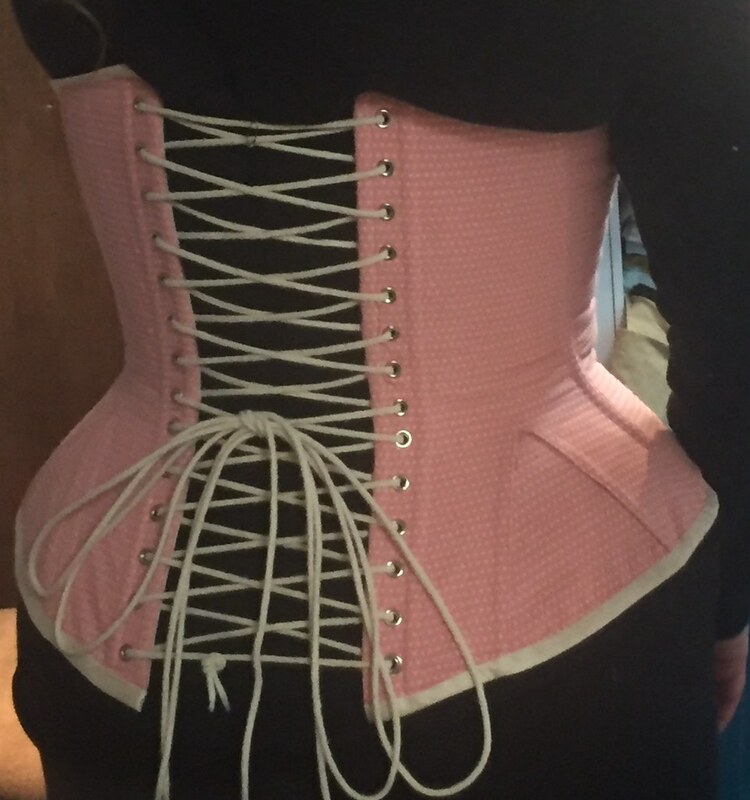 The corset lacing I bought from Richard the Thread is unfortunately too short. I think the lacing on the first corset I made several years ago is longer, so for now I'll cannibalize that. But I also find that corset lacing does not glide smoothly enough through the grommets. I've used ribbon before, but it always seems prone to snapping. So what do you use? I need at least 8 continuous yards, if not 9. Tomorrow I have a gig, but I still hope to at least sew together my green wool skirt panels. All the boning is in, I sewed off the boning channel ends by machine to keep the boning in place for now, and I started cutting out strips of ivory shantung for the binding. I'll finish the binding tomorrow, and hopefully everything still fits right, so I can wear it for Wednesday! Then I guess I have to decide what kind of flossing I want to do. 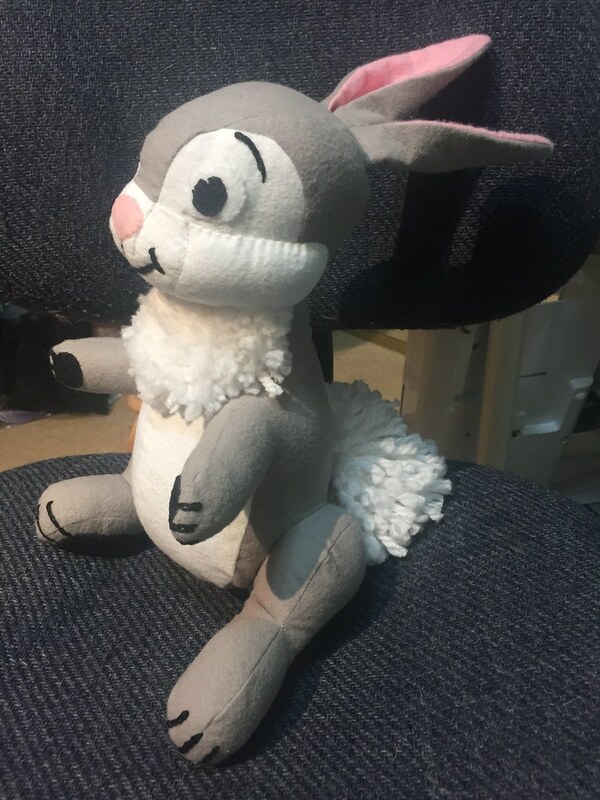 That will happen slowly over the next month if I have hand-sewing I need to do, though. Because I really need to move on to the dresses! Luckily, two four-day weekends in a row should hopefully help! I didn't get home from running errands and such till after 7pm today, so I didn't have nearly as much time to work on the corset as I thought I would. That said. I still managed to brave the freezing garage and set all 28 of my grommets, and I got a little more than half of the boning cut and put into the channels. I'll finish the boning tomorrow and cap off all the boning channels. Hopefully I'll have time to bind it on Tuesday, but I guess I can still wear it even if it's not bound. It looks like we're going to have another gig on Wednesday, now, in addition to the Thurs one, and I want to wear this corset for them! I know German plastic molds with heat, so I tried to steam it to the form a bit. Of course, the form is not at all the same shape I am, so I think it will mostly have to mold once I'm wearing it. Thanks for the advice - I decided not to do a waist stay. I got more thread today, though, so now all of my seams are finished, as are all of my boning channels. Tomorrow, I plan to do my grommets, and cut and insert all the boning. If I can, I'd love to move on to binding as well, but I also have a lot of errands to run, so I'm not sure that will happen. I think I'm going to use bias strips made of twill, but I'm not positive. I think I have more studying of extants to do before I decide. By the way, did you know that German Plastic Boning is flammable? I tried using a flame to melt the ends so they wouldn't be sharp, and the first time I did, it caught fire. If you just pass it through a flame for half a second, it gets soft enough that you can use sandpaper to smooth the ends, but be careful about trying to melt it for any longer than that!